This is a picture I took of a dogwood that has pinkish-purple AND white flowers on it. 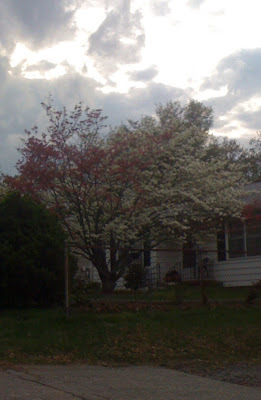 I've never seen a half and half dogwood like that. I suppose someone grafted the branches on in the tree's infancy. On my way to the Creation Museum in Kentucky (review/article coming soon) we were looking at the news on my iPhone. 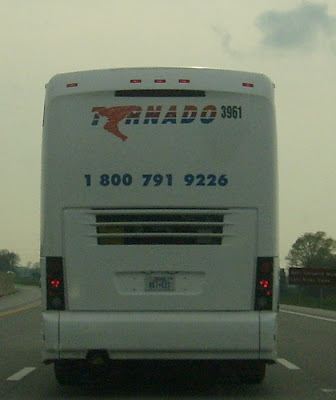 FoxNews was reporting that tornados were moving through Kentucky and that one had killed two people the previous night. I looked up and saw this! 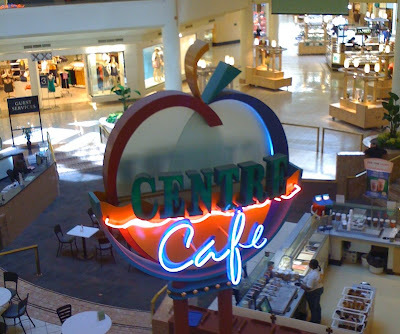 This is a picture of the food court in Kenwood Towne Centre Mall in Cincinatti Ohio. I thought this was interesting for a mall to have that also has an Apple Store in it.